With all the pomp and circumstance that has accompanied the announcement of Vernon Adams Jr. coming to Eugene, let’s not forget one simple fact: he hasn’t won the job yet. It may seem like a foregone conclusion that he will come in and win the job, he will still have to compete with Jeff Lockie and Morgan Mahalak to be the starter. Mahalak is likely to be the dark horse canidate going into next season. This will be a bit of an interesting competition, as Lockie isn’t quite the dual-threat QB Mahalak and Adams seem to be, but he might be more developed as a passer. 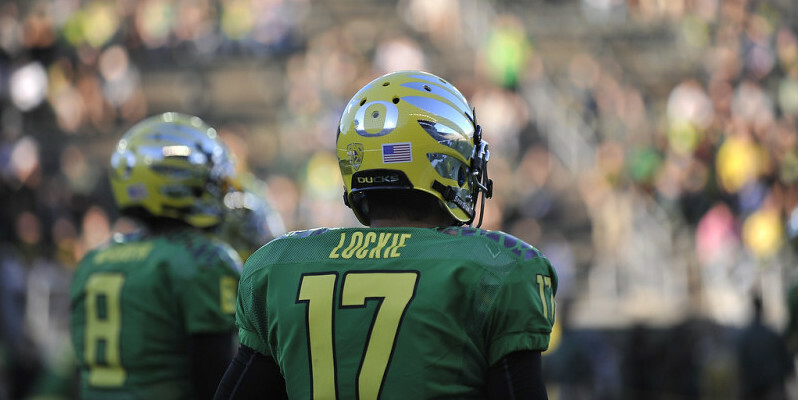 At the same time, Lockie has the most on-field experience with Oregon’s offense and a relationship with the coaches, while Adams (the current favorite), has no experience with the Oregon playbook or history with the coaches. Then there is Mahalak – the dark horse of the group, largely because we just don’t know what to expect from him coming off his redshirt year with the Ducks. Mahalak, aside from his initials, apparently has the closest playing style to Marcus Mariota; even their physique is similar. The only real downside to Mahalak – and the one thing getting in his way – is his inexperience. Even Adams, despite not playing with Oregon, has four years of college football under his belt. Unless Mahalak has a revelation this offseason, he will have to wait until 2016 for his chance to start. Lockie will have the advantage going into next season. Will Vernon Adams be able to beat him out? The competition in all likelihood will come down to Lockie and Adams, two QBs who couldn’t be more different. Lockie is a prototypical QB, standing 6’2 and possessing more pocket mobility than straight line speed. Adams, on the other hand, is basically Russell Wilson, being undersized at 5’10 and having outstanding straight line speed. Again, Lockie has the advantage off the bat because of his experience with the offense and coaches. The factor that will ultimately decide this QB competition is which of them will be more impressive as a passer, once Adams joins the team and gets into real practices. 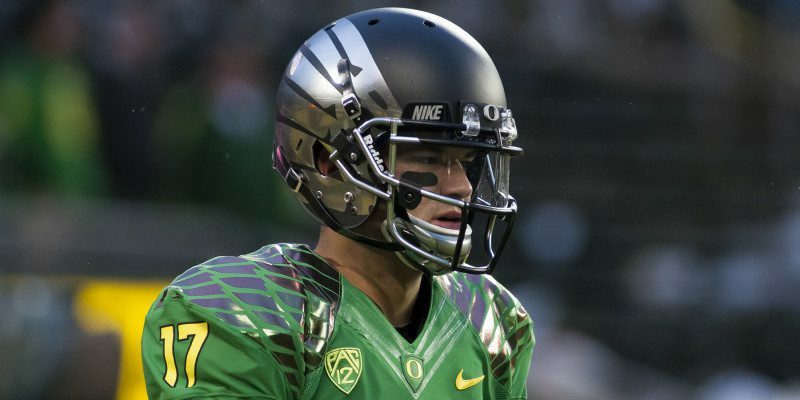 Regardless of who wins the competition, Oregon will have a good QB next season. The question is, can either of them be great like Mariota? 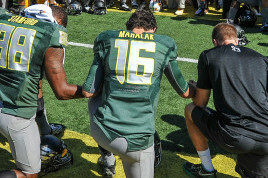 Jeff LockieMarcus MariotaMorgan MahalakOregon DucksOregon QB CompeitionVernon Adams Jr.